The Annual General Meeting of the Whangamata Ratepayers Association Inc will take place on Saturday 23rd February at 4:00pm, at the Whangamata RSA, 324 Port Road, Whangamata. All financial members and non-member residents and ratepayers are encouraged to attend this meeting. While a report on the encouraging progress made by the organisation this year will be tabled, and financial accounts presented, the main purpose of the meeting will be to gauge the level of support for the continuation of the association’s activities, and to establish an effective and committed committee. Some new committee members were elected last year as a number of long-standing incumbents stepped down, and more are still required to re-vitalise and re-energise the organisation. 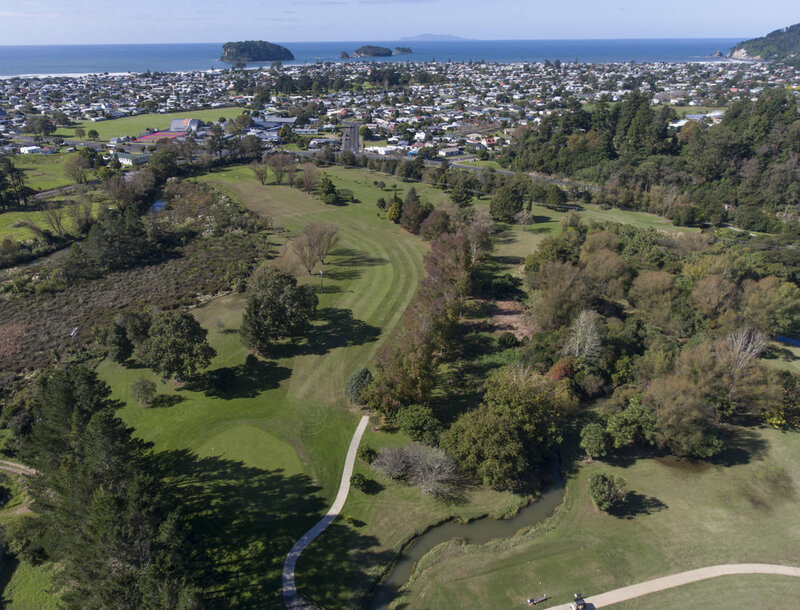 Significant progress was achieved in the last year on the major subjects identified as strategically important for the town; power supply, stormwater management and the Williamson Park resource consent, but we REALLY need more members, including several who are willing to sit on the committee (meet every two months) to ensure this momentum is continued. The seemingly never-ending debate around mangrove management will be an important subject in coming months, and while we’re all really sick of hearing about mangroves, once the proposed legislation currently before parliament is passed, unless we convince TCDC to do a better job than the debacle over the last years under Waikato Regional Council, our harbour will eventually be overtaken, filled with silt, and lost forever. So, we need members (to give us credibility in dealing with TCDC and others) and we need motivated people to help us a committee level. One of the three important issues we have identified for our town is the continuity of power supply. Continuity of power supply in the town has been significantly below international standards. The town's reliance on a single high-voltage feed contributes significantly to this outcome, and while a second power feed is the ultimate mitigation, it seems unlikely to be implemented in the short term. However installation of a battery backup system, due in about 12-months, will go someway to mitigating power cuts by providing redundancy to the commercial area of town when the main feed fails. However it became very apparent during this meeting that PowerCo were unaware of the multiple localised power outages that we all seem to experience on an ongoing basis, due to their inability to monitor "local" transmission lines. We can all do something about this! Powerco have provided us with the information below about their mobile App; if everyone was to download this free app onto their phones, and follow the instructions below when they experienced any power interruption, then Powerco will be aware of the level of interruptions being experienced, and therefore more motivated to address any issues long term. In the interests of long-term power continuity in Whangamata, please follow the instructions below, and actively help us inform Powerco about Whangamata's electricity infrastructure. The data is refreshed every three minutes with live system data. Powerco’s App is available on any smartphone running at least Android 4.0 and any iPhone running at least iOS 7.0. Visit Google Play or the App store to download. Once you have downloaded the App you will need to create an account. If you signed up to the App using an email address, you should receive an account confirmation email after completing the registration process. Before you can add an ICP to your ‘My ICPs’ list, you must click on the link sent in the email. If registering through Facebook, there is no additional account verification required. You are able to add an ICP to your ‘My ICPs’ list straight away. It may take a few minutes for you to receive your account confirmation email. If you still haven’t received an email, please check your junk/spam folder. Also, check the email address listed in the app’s account settings for any typing errors. If you still have not received a confirmation email, please either register through Facebook or re-register using a different email address. If the problem continues, please let us know by emailing customerservices@powerco.co.nz. The App allows you to register your ICP(s) and can then identify if an ICP is part of an unplanned outage. ICP stands for Installation Control Point. It is a unique number given to each point of connection on Powerco’s electricity network. All ICPs are 15 characters long, made up of numbers and letters e.g. 000006789PCB031. You will need to enter an ICP number as part of registering for the App. You can find your ICP on your electricity bill or follow this link https://www.ea.govt.nz/consumers/your-power-data-in-your-hands/my-meter/ to search for your ICP by address. It is important to note that the App connects to Powerco’s Outage Management System (OMS). There is no physical connection between the App and the electricity network or your property’s meter. We have monitoring and automation on our high voltage networks (11,000 volt feeder lines and above). This means that a fault job will automatically be logged in our OMS when there is a fault on our high voltage networks. The App will automatically register when your ICP is affected by an outage on our high voltage networks i.e. “We are aware of a power cut affecting your ICP”. While we do have automation and monitoring on our high voltage networks, we don’t have real time visibility of the low voltage networks (400 and 230 volts) and individual customer service lines. If there is a fault on our low voltage networks or a customer service line, we may not know about it. Therefore, we are reliant on customers reporting the fault. If you have lost power due to a low voltage or service line fault, the App should show your power supply as “On” (i.e. Powerco is not aware of the fault affecting you). After pressing the “Report a power cut” button, the App will guide you through the same series of questions you would be asked if you reported the fault via your retailer and log a job directly to Powerco’s OMS. Sometimes customers can be affected by both a high voltage fault and a low voltage or service line fault (as is common in severe storms). The physical hierarchy of electricity networks means we must fix the high voltage faults before we can fix low voltage faults. If you were affected by a high voltage fault you will not be able to report a power cut to Powerco via our App. Once we have fixed the high voltage fault, the associated job in our OMS will be closed. When the App is refreshed (the information is automatically refreshed every three minutes, or you can force a refresh by dragging down on the screen), it will recognise this and indicate that your power should be on. If this is incorrect, you will then be able to report the power cut via the App. Information such as the cause of the power cut or estimated time of restoration may not be available at the time the job has been raised. Powerco’s OMS will initially assign a system default estimated restoration time based on calculations about the number of ICPs affected and previous faults. In most cases we are reliant on field staff finding the problem and reporting this information back to our control room to provide more accurate information. Once this information is available the job will be updated and the information will be pushed out to the App. If you are ever in doubt as to whether your power cut has been notified to Powerco via the App, please contact your energy retailer (the company you pay your bill to) who can follow up with us in your behalf. We are pleased to launch our new facebook page to help our local community engage on issues that impact us all. Please join the conversation and invite others to do the same.